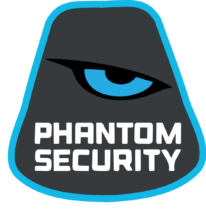 Phantom Security provides private investigation services for a diverse range of cases. Our investigation solutions deliver clear, detailed, and transparent results. Each case is handled with extreme precision, persistence and confidentiality. Although a new firm our investigations firm is backed by investigators with decades of experience in the investigations industry. We provide results as simple as that. We are wanting to change the way investigation firms are being run. We are a modern firm that relies on technology, equipment, and software that most firms do not carry, cannot afford, or don't know how to use. But we also do not hesitate to do work the old fashioned way, we will get the results you are looking for one way or another 100% legally. Ever hired a PI firm and never receive any updates from them while still paying them? We provide emailed reports any time relevant information comes up. If nothing relevant has happened we will still contact you to give any update we can to ensure we are working as hard as we can to get your case resolved. This is unheard of in the PI industry as less communication between the client means longer billing periods. We are a full service security agency. This gives us the distinct advantage of having our own security system technicians. Our security systems integration team are experts in surveillance camera and systems set up. We can set up HD covert (hidden) cameras, long range cameras, covert recording devices in any environment without contracting other companies, thus increasing efficiency and reducing costs.